Shop with confidence knowing this tiny chip packs a whole lot of protection. The embedded chip improves security every time you make a purchase at a chip-activated terminal by creating a one-time use code for each chip transaction. The code helps reduce the chances of counterfeiting and in-store purchase fraud. Simply insert your card whenever a chip-activated terminal is available and follow the prompts. If a chip reader is not available, swipe your card. You may use your card at millions of places that accept Visa Debit Cards worldwide. Chip-activated check out is currently available at several retailers and more locations are being added daily. Don’t want to wait for your card to arrive in the mail. Stop by any of our branch locations that have the Instant Issue symbol next to it. Receive your card within minutes and walk away with an enhanced level of security. A chip debit card is a standard debit card that contains an embedded microchip and also has the traditional magnetic stripe. The chip card also referred to as EMV protects in-store payments because of the technology that generates a unique code each time a transaction is approved. Why are chip cards replacing magnetic stripe cards? Chip technology is fast becoming the security standard for card technology in the U.S. Many merchants have already upgraded their authorization equipment to accept secure chip transactions. More will be over the coming months. Am I protected against unauthorized charges? Yes. If your card is ever lost, stolen or fraudulently used, you are protected by Visa’s Zero Liability Policy. Visa’s Zero Liability Policy covers U.S. – issued cards and does not apply to certain commercial transactions or any transactions not processed by Visa. You must notify Fairfield County Bank immediately of any unauthorized use. For specific restrictions, limitations and other details, please consult your issuer. Yes. If a merchant is not yet chip-activated, just swipe your card and enter your PIN. Or select CREDIT and sign for your purchase, if necessary. Yes, you can still use your card to get cash, check your balance and more. Be sure to insert the chip end of your card into the ATM with the chip facing up. Your card will remain in the ATM until your transaction is complete. Once the transaction is complete, please remember to take your card! Not all ATMs are chip enabled at this time, in this case swipe your card as you have done in the past. Will I have to pay fees to use my chip card? No. 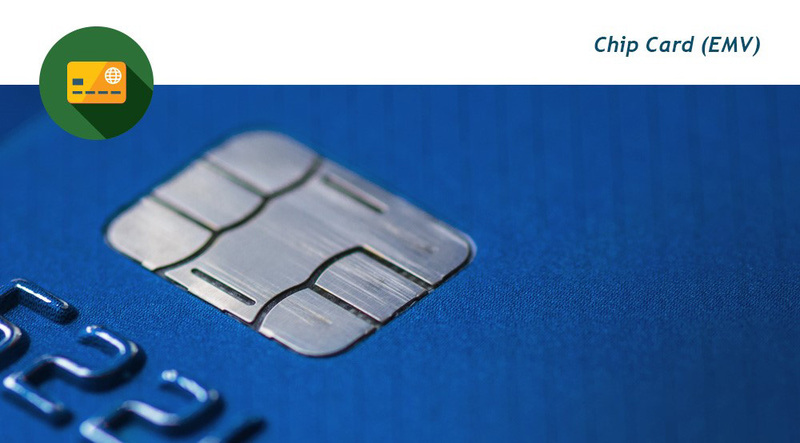 There are no additional fees to use your new chip debit card. When you use an ATM not owned or operated by Fairfield County Bank, you may be charged a fee by the ATM operator, and you may be charged a fee for a balance inquiry even if you do not complete the transfer of funds. Why am I receiving a new debit card? Your card now includes chip technology. You’ll enjoy global acceptance plus an enhanced level of security. Will my Fairfield County Bank card numbers change when the chip cards are issued? Yes, your card number will change as a part of the reissue requirements for Fairfield County Bank. Will my Personal Identification Number (PIN) change from the one I have most recently used? This card replaces your current card and is ready to use as soon as you activate it. Your Personal Identification Number will come in a separate mailer. For cards re-issued at expiration, the PIN for your new card will be the same as the PIN of your expired card. Yes, you may change your PIN number by using the current PIN at ATMs or by calling 1-800-448-8268. You must have your current PIN number to facilitate a change with either of these options. ATM instructions may vary; to change your PIN at any Fairfield County Bank ATM insert your card into the ATM and enter your current PIN. You may choose from the options “Change PIN,” follow the prompts and enter your new PIN selection. This will only work if you know the current PIN for the card. How can I change my PIN if I do not know my current PIN? 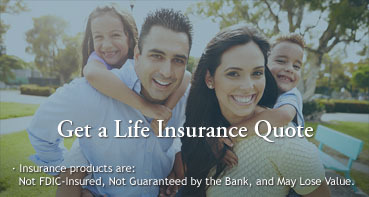 You may call us at 877-431-7431, and we will assist you. What will happen to the auto debits for payments that were processed against my old debit card number? Your Fairfield County Bank card number has changed as a result of the chip card re-issue as has the expiration date. You will need to contact each company that processes automatic payments (debits) to your card and provide them with the new card number and card expiration date. If you need assistance in determining auto debit processor(s) or biller(s) for your card account, please contact our Card Service Specialists at 877-431-7431, EXT 7437. May I continue to use my current card until I receive my new PIN? Yes, you may continue to use your current Debit Card until the expiration date on the card or until the time of activation for your new card. Once you activate your new card, your old card will no longer work. What should I do with my existing Fairfield County Bank Visa Debit Card? You should destroy the existing card after you have activated your new card. Now that I have a chip card do I still need to let the bank know I am traveling internationally as I have in the past? We recommend that you set a travel notice for any card(s) you plan to use while traveling, so your card access is not interrupted. You may set your travel alert in Connect24 Online Banking, in Connect24 Mobile Banking, by visiting a branch, or by calling our Customer Care Center. For your protection, our system monitors your activity even when a travel alert is set. What if I want to get a Chip card before my current card expires? Fairfield County Bank is pleased to be able to offer you the ability to get your new Chip Card with our Instant Issue program at most of our branch locations. Branch Offices with Instant Issue capability are noted on our website, www.fairfieldcountybank.com. Instant Issue lets us give you your card right away. If you are not local and want the new Chip Card, please call us at 877-431-7431, and we will assist you with a new card order. I use APPLE PAY or GOOGLE PAY, do I need to change any information for my new card? Yes, you will need to update the card number in the “PAY” APP on your phone. Go to “Settings” and add your new card number and delete your old card number. It’s that easy. During business hours, call our Customer Care Center at 877-431-7431 (toll-free). After business hours, call our Lost and Stolen Card Hotline at 1-800-264-5578. If you are overseas or traveling internationally and lose your debit card or the card stops working, contact Fraud Watch at 1-701-0461-0621. This is an automated collect call service, free of charge to you. Use our Mobile Banking APP, and you can deactivate your card right on the spot. If you discover the card wasn’t lost or stolen, just return to the Mobile APP and reactivate the card. If you wish to replace your current card before expiration, visit any one of our branch offices that offer Instant Issue capability.